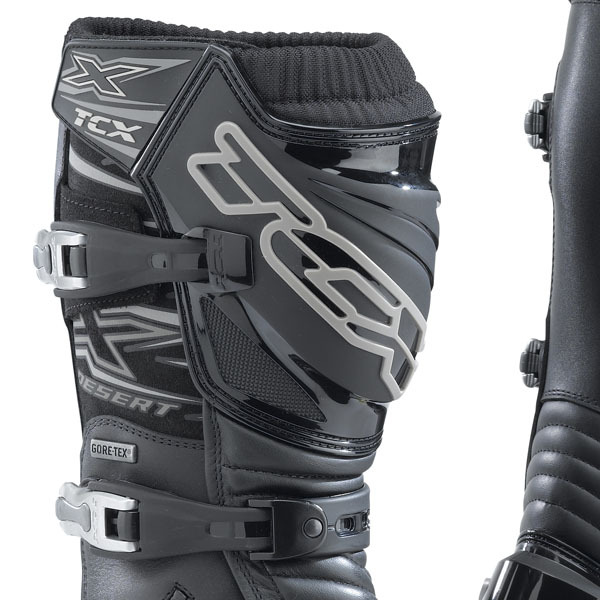 Having read review upon review about the TCX brand I was convinced that they were going to be well worth the price, and when I saw that Sportsbikeshop had an offer on bringing these Gore-tex lined ones down to the price of the model below I was sold. The sizing runs spot on, they're well constructed, warm and the Gore-tex is an absolute winner at this price. I'm not getting cold or wet feet this winter, and neither should you! Top marks TCX. They lived up to expectations, and were delivered before time. Happy! Very pleased with these. As for comfort and water proof both very good. Great boots. Comfy and provides great protection! Size chart provided is accurate. Would definitely recommend this product! As with all relatively expensive items I did a fair bit of research both written and video before buying these boots. Some say buy your normal size and some say go a size larger, well I tried my normal size first, 43 and they were way too small across the foot, a quick bell to SBS and the next size up 44 were put to one side. I went to the shop the next day and a 44 were perfect. A long ride out then followed and these boots were warm, snug and comfortable straight away. So other reviewers had trouble with the gear change but not me. At the moment I cannot comment on if they are waterproof but with being Gore Tex then I do not have any reservations. All in all a great boot for my type of bike. Did a fair bit of research before buying these boots - they meet all my expectations. 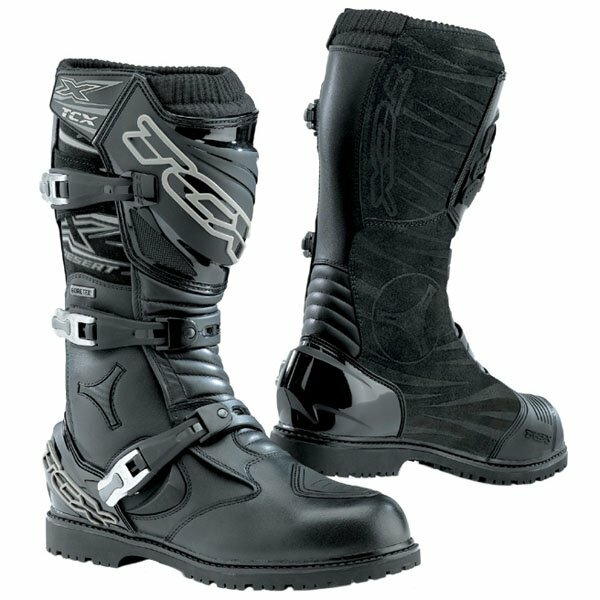 I was delighted to find them at such a discounted price here at Sportsbikeshop. Thanks very much. 5 days after buying these had them on. Had just had a new tyre on and it was icy. I spun out and like landed on my leg. My leg was swollen and shin was a bit swollen. Had there not been on my leg would have been snapped in half plain and simple. Only damage sustained to the boot was a scratched buckle. Great boots although they take a while to break in otherwise excellent would recommend. Had the Infinity before and have upgraded to these. Feel very strong and have remained bone dry through a couple of downpours so far. Easy to get on and off, well fitting, dry and comfortable. Just the business. I've decided to upgrade to the X-Desert boots after owning a pair of TCX Infinity Gore-Tex Boots for over 2 years with almost daily, 4 season use to commute across London. They still look in great condition, gave great protection in a couple of bangs I took from silly cars. Were comfortable to wear, even walking around in town. Only problem is the Gore-tex is failing now across the front of the ankles in heavy rain, therefor I wanted new boots before winter. 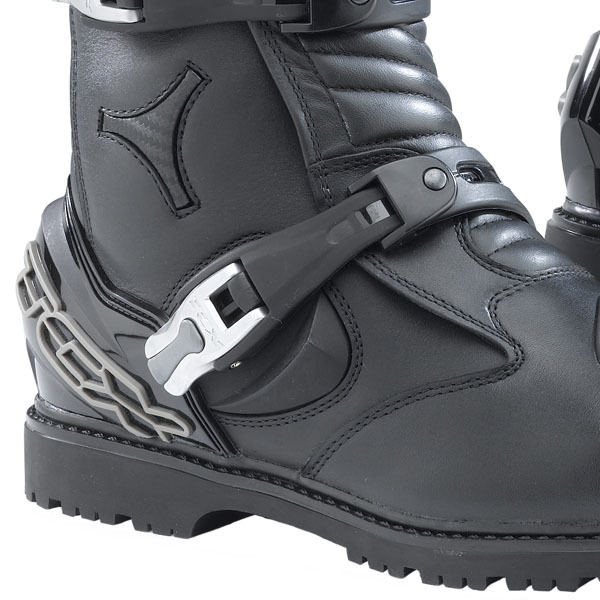 Although comfortable to wear, the X-Desert doesn't feel as comfortable to walk around in, probably due to the additional support in the boot and protection pads, and also having a more rigid sole with a heal. But I guess that's the trade off for a sturdier, safer boot with more protection. I'm sure as the leather becomes more supple with use this will improve a little. I hope to get the same longevity out of the X-Desert as I did with the Infinity (which can still be worn except in heavy rain for any duration). 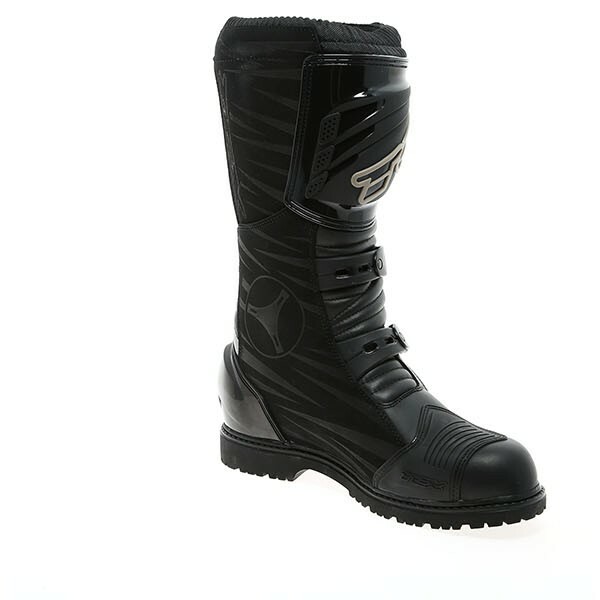 Enduro style boot boasting waterproof and breathable Gore-Tex lining and the Comfort Fit System. The CFS, developed as a result of years of TCX know-how, has always been one of the strong points of touring products. This special and virtually entirely manual technique allows the boot to be shaped on a "mould" that faithfully reproduces the anatomy of the foot, making the boot exceptionally comfortable and ideal for prolonged use in different situations.